Most of the coverage of the SEC’s recent proposal to replace the DOL Fiduciary Rule has focused on the different standards for brokers vs. advisors and the shortcomings of a disclosure-based approach to regulation. We agree with many of these criticisms, as we wrote last week before the proposal was released. However, the SEC’s proposal contains an even more fundamental flaw. Even if brokers were held to a fiduciary standard of conduct, the ambiguous interpretation of the fiduciary Duty of Care makes any regulation difficult to enforce and confusing for all parties. 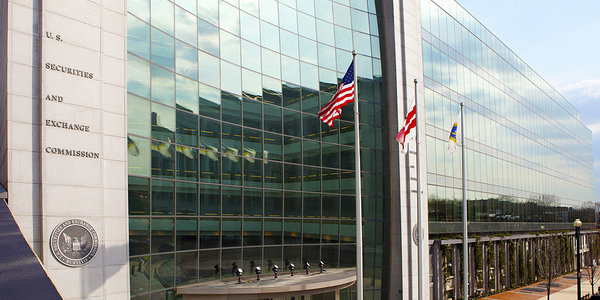 The SEC needs to offer a more concrete interpretation of the Duty of Care, one that focuses on the research upon which investment recommendations are based. Duty of Care: Too Big to Fulfill? The SEC’s proposal would eliminate the possibility of class action lawsuits, but it doesn’t address the core question. How can we be sure that advisors have the expertise required to fulfill the Duty of Care? Kitces suggests that advisors may need to get a CFP or RMA designation to prove their expertise. Figure 1: Is Michael Kitces’ Solution for Fulfilling the Duty of Care Practical? The SEC seems to have listened to Kitces’ argument. Its proposal included a request for comment on a federal licensing and continuing education requirement for advisors. We believe a licensing and education requirement is the wrong approach to this problem. It would impose an immense cost to advisors in terms of both time and resources without addressing the key issue. No matter how much training an advisor gets, he or she will almost never have the time and/or resources required to perform research with enough rigor to fulfill the Duty of Care when making investment recommendations. Advisors don’t need better training, they need better research. This sentence contains an inherent contradiction. With annual reports running 200+ pages and containing crucial information buried in the footnotes, advisors cannot be reasonably expected to conduct an investigation that incorporates all material information. To fulfill this duty, they’d need to spend all day every day reading 10-Ks and 10-Qs, and they’d have no time to actually give advice to clients! Instead, advisors have to rely on research providers for the information they need to make investment recommendations. Accordingly, the SEC should pay more attention to the role of research providers in the investment process and ensure that the research behind investment recommendations is sufficient to meet the Duty of Care. Comprehensive. It should reflect all relevant publicly available information (i.e. all 10-Ks and 10-Qs), including the footnotes and MD&A. Objective. Investors deserve unbiased research. Transparent. Investors should be able to see how the analysis was performed and the data behind it. Relevant. There must be some tangible, quantifiable connection to fundamentals. The average client would probably be surprised to learn that these criteria are not already required for investment research. In fact, sell-side analysts have significant conflicts of interest, many common data providers use inaccurate and incomplete information, and the fund research from dominant players like Morningstar has only a tenuous connection to performance. People have gotten away with substandard research for years because, in the past, research that fulfilled the four qualities above was not possible at scale. However, today’s Robo-Analyst technology makes it possible. Machine learning and natural language processing allow computers to do the heavy lifting of reading financial filings and analyzing data on the back end, freeing up human advisors to focus on their client’s individual needs. Now that the technology exists to provide diligent research at scale, there is no excuse for basing investment decisions on substandard research. Rather than mandating burdensome education and compliance costs for advisors, the SEC should focus on establishing standards for research that ensure all advisors have the information and analysis they need to fulfill the Duty of Care. This article originally published on April 26, 2018.